For any gun owner, whether for hunting or self defense, safety is absolutely essential not only for keeping your own guns safe, but to keep guns away from the wrong people. In November 2015 leading up to the holiday shopping season there were 2.2 million instant background checks submitted for the purchase of a firearm. That’s a 24 percent increase from the same time last year. As retail gun sellers and industry representatives get ready to converge on Las Vegas next week for the 2016 SHOT Show Jan 18-22, the National Shooting Sports Foundation is promoting three programs that support gun safety. In order to keep guns out of the reach of children, Project ChildSafe has distributed 36 million firearm safety kits in every state in the country. The non-profit also forges partnerships with law enforcement and other government agencies to promote safe gun practices. 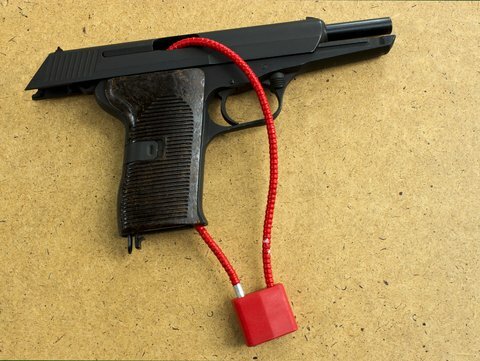 Options for securing a gun include cable locks or a gun cabinet with the ammunition stored in a separate locked container. A campaign by the firearms industry was recently launched to improve the reporting by states to the system of national instant background checks. The national FBI database is only as good as what states report, and it’s been revealed that many states do not report enough information. The FixNICS campaign points out states that are under-reporting and suggests ways to make the system more robust such as reporting anyone who was the subject of a domestic violence protective order. Another campaign by the National Shooting Sports Foundation called “Don’t Lie for the Other Guy” is meant to prevent the unlawful purchase of a firearm for another purchase. It reminds people that such an offense is punishable by up to 10 years in prison. In the case of the shooters in San Bernardino, the man who bought the couple a firearm is now facing charges. For more than a decade the gun industry through its trade representative has worked with law enforcement in educating firearms retailers to be better able to identify and deter illegal straw purchases and to raise public awareness that straw purchasing is a serious crime, according to the campaign’s web site.